I am happy to announce that we have introduced Invisalign at Cherry Blossom Dentistry. 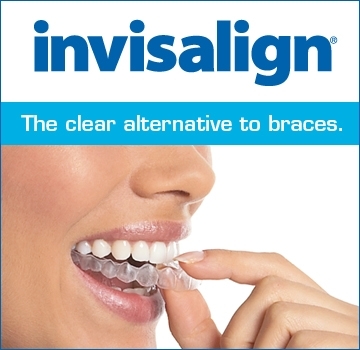 Invisalign straightens your teeth using a custom made, virtually invisible series of aligners made just for you. The aligners fit right over your teeth and are made of smooth, comfortable plastic. 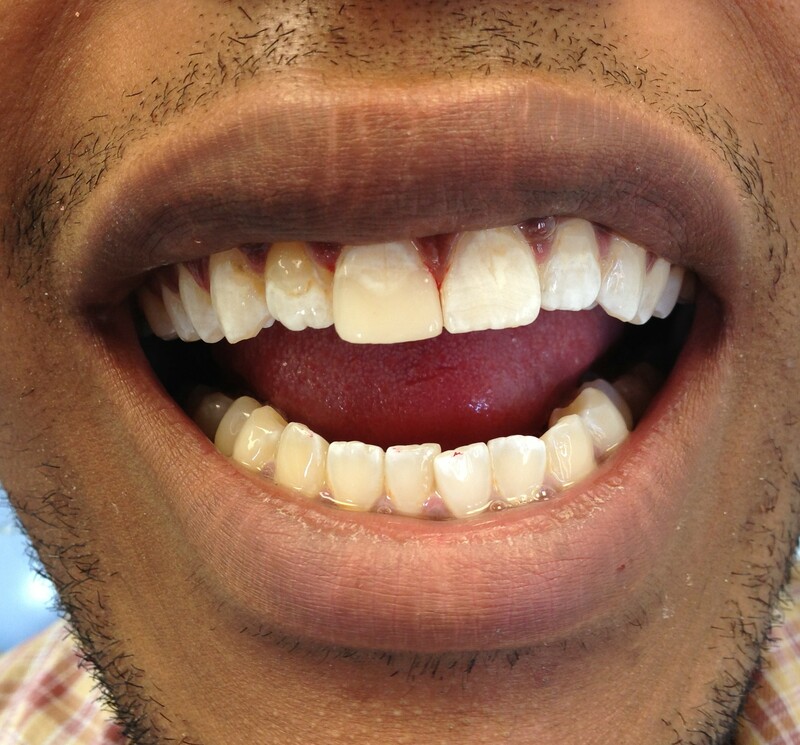 They resemble whitening trays in appearance but that’s where the similarity ends. Each set of aligners incrementally shifts teeth into a desired position using smooth, gentle forces. With Invisalign there are no brackets and wires bonded to your teeth and the removable aligners allow for ease of brushing and flossing throughout your treatment. Each set of aligners is worn for about two weeks and then you simply switch to the next set. One of the most innovative aspects of Invisalign is that a digitized treatment plan is created using a model of your teeth. You will be able to see what the aligners will be able to achieve during your treatment on a computer image before you even commit to start. We offer complimentary Invisalign consultations. I review the entire process, risk, benefits, fees, and show you a set of aligners and before and after case photos. I am very excited to be an Invisalign provider. I consider it a revolutionary alternative to conventional braces and I am confident in what it can offer to my patients. This patient arrived at our office after having crashed into a parked car on his bike the night before. 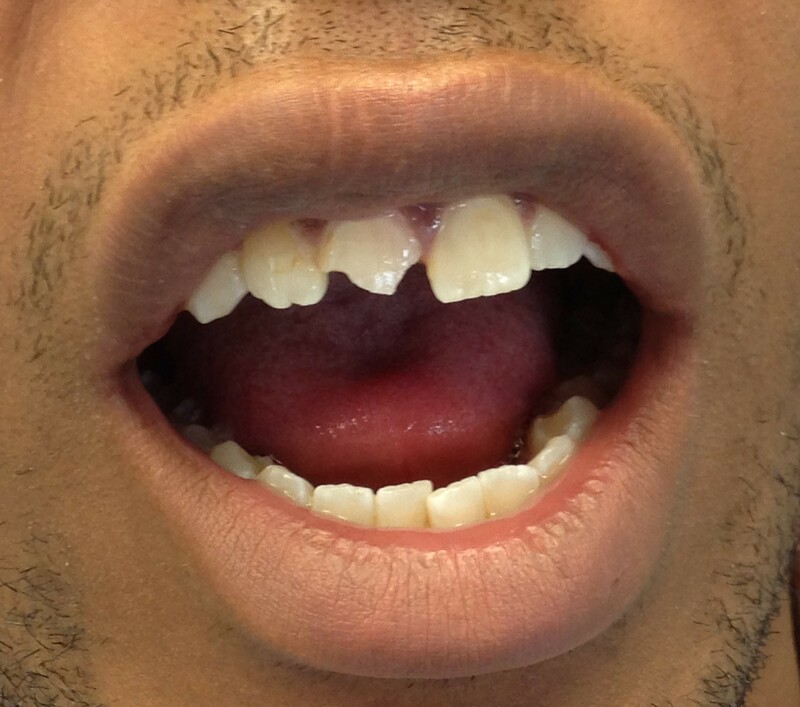 After a trip to the ER, he walked in to our office the next day to repair his painful tooth, a casualty of the crash. I was happy to squeeze him right in and I was able to repair the tooth with a tooth coloured bonded filling which restored the tooth’s appearance as well as relieved the sensitivity and pain from the damage. It is always very rewarding to attend to a patient’s dental emergency. Things can happen anytime, anyplace and we pride ourselves on responding to our patient’s needs quickly for their comfort and well-being. Cherry Blossom Dentistry has recently undergone several exciting new upgrades in the last three months. One of the most important has been introducing digital imaging in place of conventional x-rays with film. The benefits include a minimum 60% reduction of radiation exposure per film for the patient as well as reduced chemical waste from the processing of film. Along with this, the entire office has converted to a paperless system, allowing all patient records and treatment to be recorded digitally. Patients will also enjoy convenient check-in when they arrive with our brand new tablet. Patients will be able to update personal information, medical and dental history and insurance information with this handy device. They will also have the option to select automated email confirmations and reminders for appointments, rather than a phone call. With an easy click in your email, we will know that you are confirmed for your visit. Lastly, our treatment rooms have new televisions for both patient entertainment during treatment as well as treatment discussion. I can project x-rays and photos onto the TV to help explain clinical concerns and recommended therapies. This helps to keep you informed and involved. We are all excited about these new changes and we are anxious to share them with all of our patients. We are very excited to announce that we have been voted Best Dentist in the 2012 Readers Choice Awards. We are honoured to have received this award for the 2nd year in a row and we wanted to thank the entire Bloor West community for their continued support. At Cherry Blossom Dentistry, patient experience and satisfaction are our top priorities and we aim to continue providing the best service possible. I am happy and excited to report to all of our patients, colleagues and friends that my husband and I are expecting our second child any day now. My daughter is eagerly waiting to meet her new sibling and start her new role as big sister. I am very thankful to all of my patients who have given me their best wishes for this special occasion. Rest assured that I will be back to work in the fall and in the meantime I have found a perfect replacement. Dr. Saeid Jafar-Pour is a hospital trained general dentist from Toronto with all the skills and capabilities to take excellent care of the Cherry Blossom Dentistry patient family. I have every confidence in him to fulfill our patients’ needs and attend to them in a caring, pleasant, and informative manner, as the entire Cherry Blossom Dentistry team has always done. I am sure you will feel at ease with him, as I am at ease leaving my patients in his hands. We are very excited and honoured to be the 1st place winner for best dentist in Toronto’s Bloor West Villager Readers’ Choice Awards 2011. We would like to thank everyone who voted and supported us. The Cherry Blossom Dentistry team is always focused on patient satisfaction and knowing we are your number 1 choice only drives us to continue to improve ourselves. Thank you Bloor West! We are very proud to know you are pleased with our service and we appreciate this community recognition. I was very excited when Dr. Jain asked me try out the new Snap-on Smile product. She knew I had some concerns about the yellowish colour of my teeth and the rotations I had in the front, so this option seemed to be perfect choice for me. I received my new “smile” one month ago and couldn’t wait to share my experience with everybody who is interested in Snap-On Smile. First of all it is a piece of art: very thin but strong plastic shells combined in one row for my full upper teeth, very white and straight. That’s exactly what I wanted. I just love how it looks and feels. I always wanted to have nice white and straight teeth without doing any major treatment. At my first appointment I had impressions and photos taken of my teeth. Dr. Jain and I chose a new shade and shape for my teeth and that was it. After about 3 weeks my new “smile” arrived and I just couldn’t wait to see myself in the mirror. At the delivery appointment, I went through some speech-testing and bite checks. Dr. Jain adjusted the Snap-On Smile slightly so that I could speak and eat comfortably. Now it is very comfortable to wear even to the point that I forget I have anything in my mouth. I can also eat and drink normally with it and finally the most important: I got my white and straight teeth with no drilling, no anesthetic, and in only two quick visits. I would recommend Snap-On Smile as a very convenient, non-invasive and inexpensive choice to improve your smile as I did. Minor teeth rotations, discoloured teeth, and even missing teeth — Snap-On Smile can fix all of it in one shot. Please visit our Smile Gallery to see my Snap-On Smile before and after photos. For questions about my experience, please send me an email to my attention (Mila) and I will tell you all about it. Many people suffer from sensitive teeth. It is often described as anything from a mild discomfort to a sharp pain on the surfaces of the teeth, usually triggered by hot, cold, sweet, and sour foods or drinks. It can happen at any age and to anyone. The pain from sensitive teeth is caused by exposed areas on the teeth not protected by enamel, such as the root surfaces. Dentin, which lies below enamel and covers the entire tooth, including root surfaces, is less tolerant and less resistant to environmental changes than enamel. Enamel provides insulation to the tooth that dentin does not. Fluid movement within the dentin produces nerve impulses in the tooth when we eat and drink which can translate as pain and sensitivity. The most common causes of tooth sensitivity are receding gums. Recession can be caused by gum disease, aggressive tooth brushing with a hard or medium bristle brush, or be part of the natural aging process. An acidic diet may also play a role in wearing away the protective layer of the teeth, exposing the dentin. Food and drinks high in acid such as carbonated sodas and citrus foods erode and dissolve the enamel leaving the dentin extremely sensitive. A high acidity level in the mouth, created by specific medical conditions such as Bulimia and Gastroesophageal Reflux Disease (GERD) can also result in dental erosion and tooth sensitivity. Use low abrasion, desensitizing toothpastes such as Sensodyne, Colgate Sensitive or Crest Pro-Health. Switch to a soft-bristle toothbrush to protect the gums and minimize damage to exposed dentin. In office desensitizing is a treatment which provides a long lasting (up to 6 months) effect to bring tooth sensitivity to a comfortable level. Prevention of sensitivity with regular cleaning appointments to manage gum disease and educate and review proper home care on a regular basis.